Everyone knows that 98% of the time, getting something free comes with some kind of catch. Often, it’s signing up on a mailing list or mailing in rebates, etc. When you pay for television service you are paying for a signal that is consistent and not interrupted. Of course, there’s no controlling mother nature so the occasional issues happen mainly with satellite such as rain fade and similar phenomenons. With digital cable it’s the same case — cable companies pull their signal down from satellites so even though your home may not be affected, their facility might be. That being said, it is hard to transition from having cable and going to a TV antenna to eliminate that monthly bill. One of the biggest jumps is cutting the cord while keeping the peace within the household. Once you’re passed that the next challenge is finding the right antenna for your needs. This is where it gets tricky and a lot of people have this idea that getting an antenna is a simple and easy thing. To be clear, antennas have never been all that simple or all that easy, especially since the digital transition. So what is the catch? Who doesn’t mind a small challenge to eliminate a bill? The catch is this: you may have signal issues depending on where you live. Some people do not have anything to worry about. They are in a great area with excellent line of sight and a fair distance from their towers. Other people who are in fringe areas and areas that have a lot of obstructions, buildings, tress, etc. will likely need to do some more work. So what all am I trying to say here? Be prepared to play with your antenna. Be prepared to play with taking it up higher and down lower and doing channel scans in-between to find the perfect height for your antenna to get signals. Same goes for pointing it, be prepared to play around with that as well. Remember rabbit ears, the slightest little adjustment to one ear could make a HUGE difference and same can go for your outdoor set up. Realize that additional equipment may be needed. Here at Solid Signal our techs are ready to aid on decisions for antennas, however, we can only recommend what is best when we are given the right information we need. Even if you provide us with flawless information that is exact, we still may not know everything you will need. Sometimes we cannot determine if a location or antenna will need a pre-amp or a distribution amp until it is up in the environment it will be working in. Also keep in mind that some issues we cannot fix. Disruptions from things like the atmosphere, airplanes, trains, trucks/cars, and other similar factors are all things that no technology can fix really. Sometimes you just have to tough it out. Of course all of this is a case-by-case basis and like I said you should be properly advised when choosing a new system. 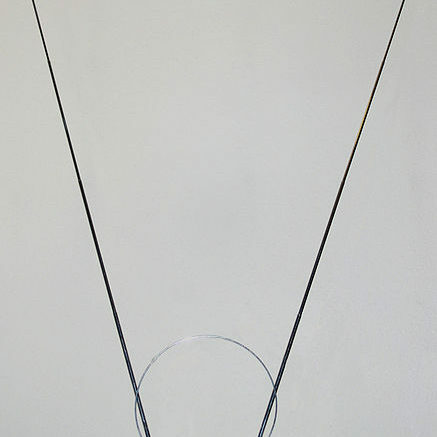 Contact a Solid Signal Tech today to start evaluating your options for TV antenna service. We pride ourselves in giving out the best information possible, so if we feel you cannot get good signals even with our strongest antenna we will tell you.